Those five words ring true in classrooms, especially when it comes to the integration of new technologies for students and teachers. Simply handing a child an iPad won’t instantly make her a better learner. More important is that you have a strategy and a plan for how to integrate technology in support of education. 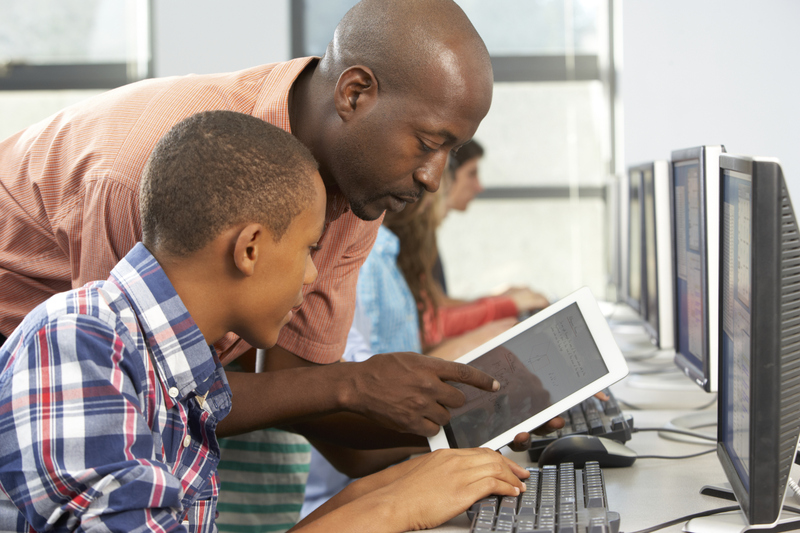 Before you invest in a major initiative, whether it’s a philosophical approach like the flipped classroom, or a new 1:1 laptop initiative, you have to understand how students, teachers and parents feel about the technology. Will they use it? Do they know how? If students bring their work home at night and it’s on a computer or a tablet, will parents be able to effectively support them? History has taught us the folly of investing in new resources without first consulting the people who are expected to use them. The League of Innovative Schools is one group that is working to bridge the digital divide in a responsible way. The organization’s Digital Promise initiative brings education leaders, researchers, and technology developers from 33 states together to increase access to learning through school technology. The video below from the 74 highlights two of the more than 3 million students and families reportedly served by this program to date. The students, both of whom attend high school in Spartanburg, S.C., rely on innovative technologies to overcome learning challenges as a result of physical and mental disabilities. As you watch, play close attention to the comments made by their parents and teachers. It’s clear that everyone involved in their education, both inside and outside the classroom, supports the technology and understands its purpose. The League of Innovative Schools is a relatively young organization (Digital Promise, which organizes the League, was established in 2011), so time will tell as to its success. But whether you are using technology to level the playing field for students with disabilities, or to create richer learning experiences for every learner in your school or district, the need to include your community, be it parents, teachers, students, or staff, in those conversations early and often is obvious. Make sure you have the staff available to support personal, technology-driven learning. Just as important, make sure that staff is engaged in your technology plan and is properly trained to effectively help students. Equally as palpable is Merritt’s drive to make Cole successful. Her willingness to spend hours with him over the weekends shows an engaged parent and an informed one, who understands the process. Listening to parents and engaging with them so that they understand expectations is the only way these types of initiatives will succeed. Successful technology implementations are hard work. Set expectations early and gather feedback from parents and teachers about their experiences. Change can be frustrating. But by engaging early and often with everyone involved and by adapting your approach when necessary, you’ll reap the benefits and advantages of a true team effort. Looking for a better way to engage your school community on important technology initiatives? Start by having an open and honest conversation. Be the first to comment on "Investing in new #edtech? Why hope is not a strategy"